As military and surveillance technology continues to evolve and the gadgetry behind this equipment becomes cheaper, it filters down into the consumer market, giving us mere mortals some brilliant gadgets to play with. 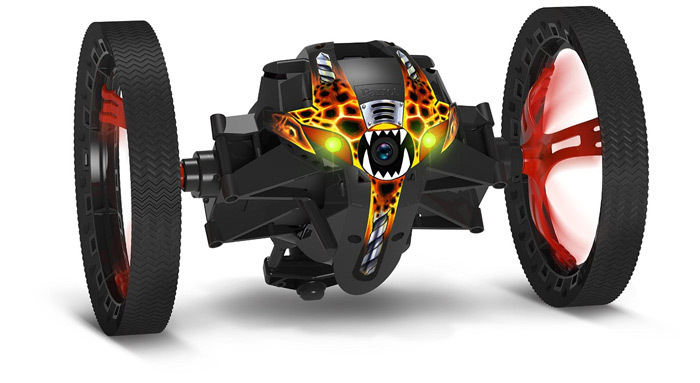 The new generation of robotic spy vehicles are amazingly good value, have real life practical applications and are incredibly good fun. Our team of highly sophisticated robot droids have been tracking the Internet and have uncovered the very best remote controlled, land based spy robots that you can buy today. 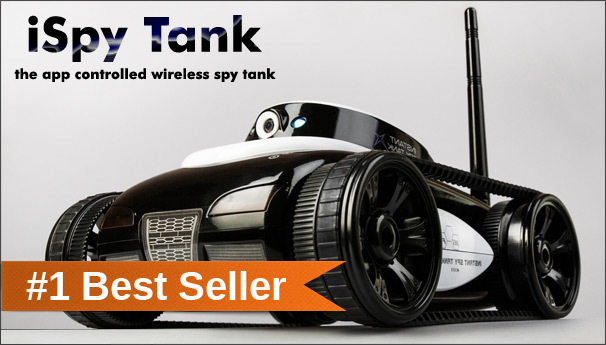 The iSpy Tank is the only remote controlled spy robot that has been specifically designed to work with the Apple range of smart devices but don’t despair if your not an Apple fan boy/girl as an Android App is also available from Google Play. See what the tank sees, through the screen of your iPod, iPhone, iPad or Android device and drive the vehicle via on screen controls. Live video and sound are streamed to the tank in real time and the iSpy tank can also see in the dark, thanks to its stunning night vision technology. 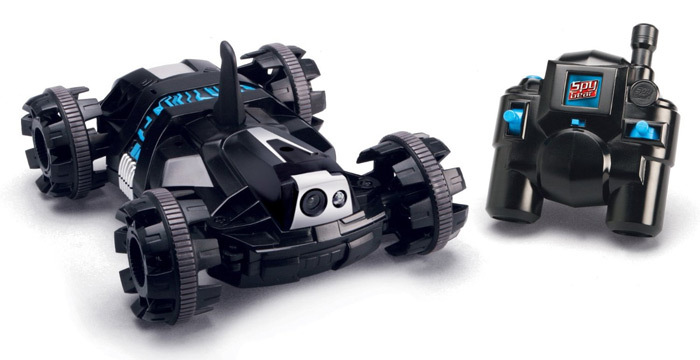 The Spy Gear Spy Video Car VX-6, is one of the few spy tanks that do away with the need to own an expensive tablet in order to drive it, as it comes complete with its own dedicated remote controller with on board LCD video screen to monitor the tanks progress. Features an extremely strong rc signal that can even transmit through walls, no need for a complicated wi-fi setup. For those night time reconnaissance missions the VX-6 Spy Tank can see in the dark thanks to its infra red night vision capabilities which can be switched on from the remote controller. Great fun for kid’s aged eight to adult. Looking like a futuristic bug from your worst sci-fi nightmare, the jumping Sumo Insectoid is a deadly efficient spy robot, able to access all areas on and above the ground, thanks to its uncanny ability to leap two and a half feet into the air, spin and zoom along at a breakneck two metres per second. This robotic fiend generates its own wi-fi signal for instant connection to your Apple, Android or Windows 8 device, thanks to the FreeFlight 3 application that also enables you to control the Insectoid from the comfort of your favourite armchair. Small yet agile and robust with tons of personality, get a Sumo Insectoid today, before they get you.